The Mercedes-Benz G-Class Cabriolet was a classic off-road vehicle that has long had a committed following. Like the Land-Rover Defender, it began life as a functional all-terrain vehicle that has been modernised over time to keep it up-to-date. 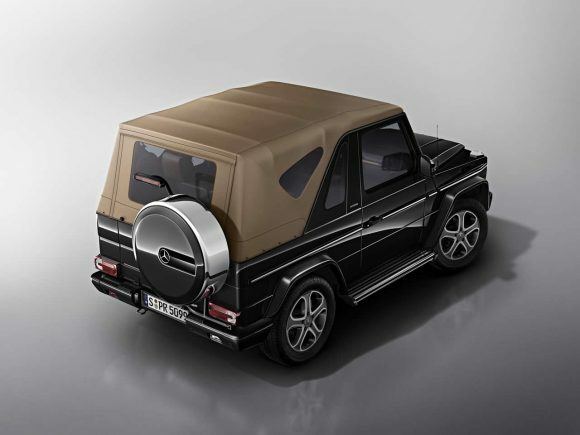 Unlike the Defender though the G-Class has become a desirable luxury car yet it has done this without losing its off-road credentials. The G has a Low range ratio gearbox and 3 differential locks to keep you out of trouble on even the slipperiest surfaces. 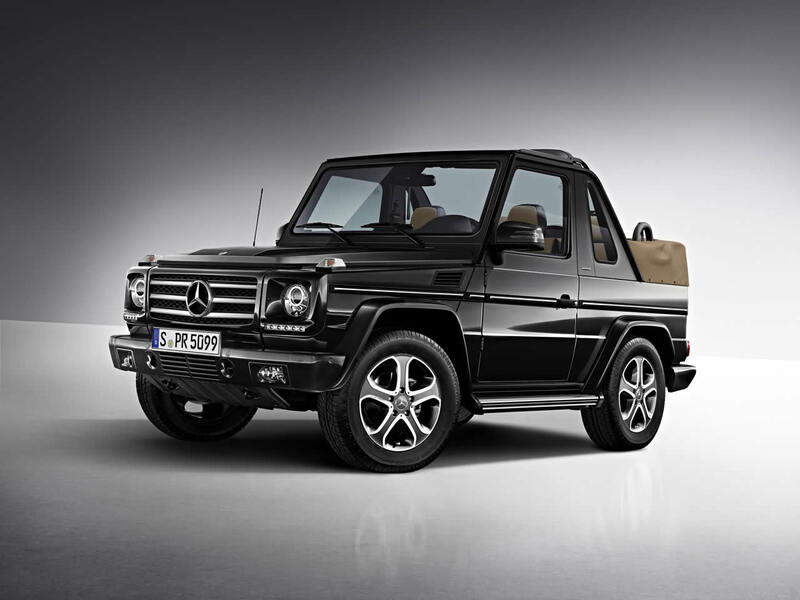 Power has been increased considerably from the early cars with the final G500/G550 models featuring a five and a half litre V8. The Mercedes G-Class Cabriolet has a power fabric soft-top roof that covers both the passenger and load areas. Structural rigidity is retained with fixed side pillars and a roll-bar. Inside is a luxurious modern interior with seating for four adults. 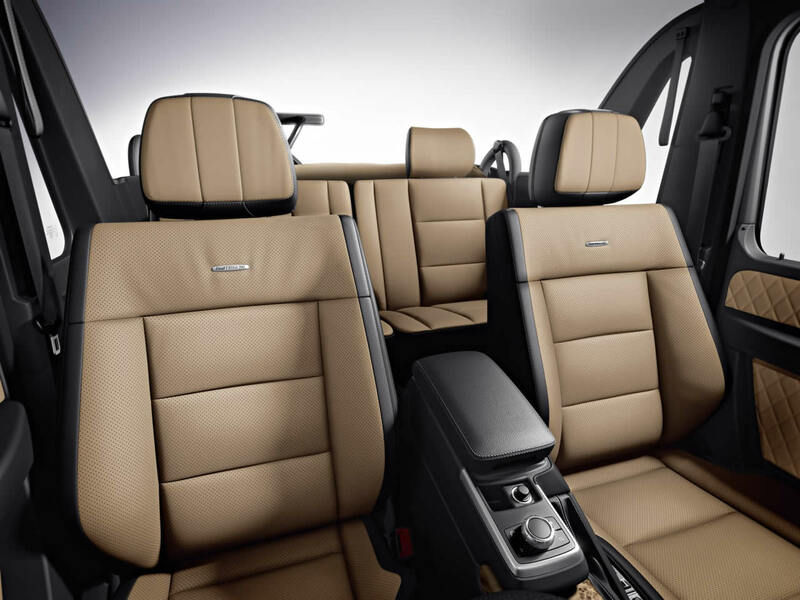 The rear seats fold down independently to increase the load area. With a 34 year life, the Mercedes-Benz G-Class Cabriolet is one of the longest production runs of any car although they were never built in low quantities and sold to selected markets around the world. 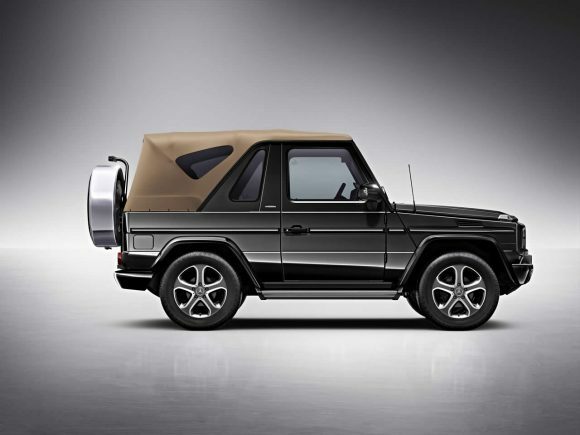 Do you drive a Mercedes G-Class Cabriolet? Would you recommend it to others? This Mercedes-Benz already has one owner review, continue the conversation and let us know what you think of the car.